Most discussions of German resistance during World War II end here, with the failed July 20 plot and the subsequent execution of its leaders. 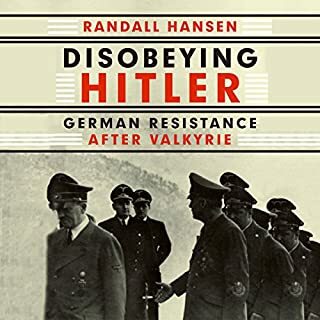 And yet this was far from the last act of disobedience carried out against the Nazi regime, as Randall Hansen reveals in his fascinating new book. 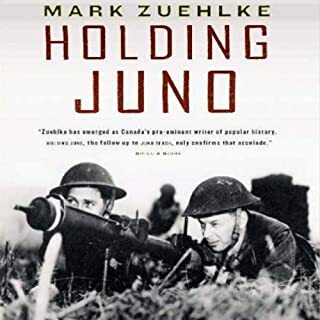 outstanding story just taking a different perspective on the end of the war and how it was dealt with on different levels. The battle of the Somme was the largest battle of the first world war, in which over one million men were killed or wounded, and during which the British army suffered its worst day ever with over sixty thousand casualties. 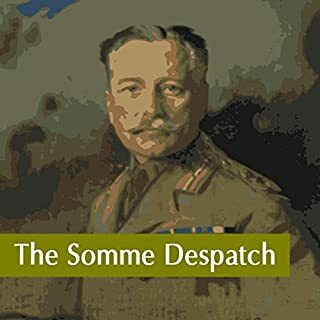 The Commander in Chief of the British forces, Sir Douglas Haig, issued a despatch in the following month via the London Gazette. Part news, part propaganda this despatch failed to mention the tragic losses and maximised the minimal gains. If you know the battle of SOMME then this is a nice additional reference to have. Would you listen to Panzer Commander again? Why? 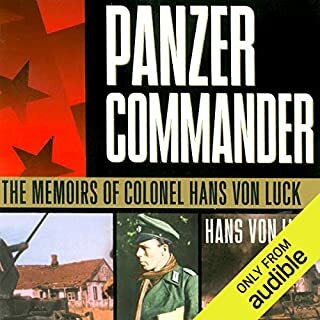 What other book might you compare Panzer Commander to and why? What does Bronson Pinchot bring to the story that you wouldn’t experience if you just read the book? Would you listen to Catastrophe 1914 again? Why? Yes, narrator does a great job keeps you interested with what he is reading. 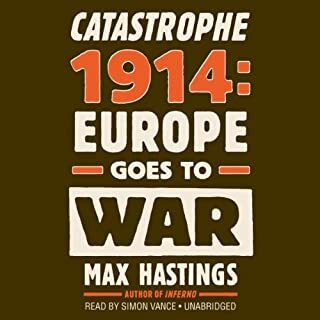 Max Hastings mixes well the personal and historical prospectives to make a more well rounded story. Nothing stands out the book itself was great. Max does a great job covering the BEF in the first year. Don't get me wrong he does a great job covering it all but the BEF comes through clearly to forefront with me. 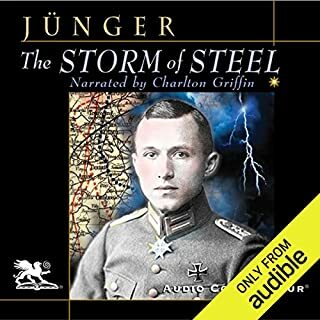 What did you love best about The Storm of Steel? Everything, its a great account from the other side. The detail of his experience you get the feeling of being there with the great description. 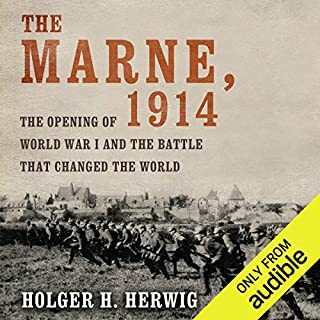 The long-term repercussions of the Marne were tragic: four more years of what the future German military historian Gerhard Ritter, a veteran of World War I, called the "monotonous mutual mass murder" of the trenches. During that time, Britain and the Empire sustained 3.5 million casualties, France 6 million and Germany 7 million. Without the Battle of the Marne, places such as Passchendaele, the Somme, Verdun, and Ypres would not resonate with us as they do. What made the experience of listening to The Marne, 1914 the most enjoyable? Its very thorough and does justice to the battle and those that fought it. No but I have to admit that by reading the footnotes breaks the rhythm of the story but it was good when French words were read the footnote gave it the explanation of what they were saying so for me it goes both ways. Under orders of the Fuhrer, the German General Staff reluctantly drew up a lackluster plan of invasion for France. Yet it was the audacious scheme of three of Hitler’s top generals that brought down France’s military force, Rather than simply move troops to engage the enemy, for the first time they would unleash the tank and drive straight into the heart of their foe. 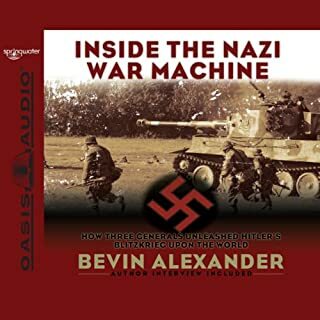 If you could sum up Inside the Nazi War Machine in three words, what would they be? Detailed, Clear and Concise....I personally love books like this as the military thought going into campaigns to me is interesting. Both French and German commanders are discussed as well as the processes they followed to either achieve their goals or fall short of them. Great steady pace not too slow or too fast. The battle for Stonne was covered well. Highly praise this book and encourage others to listen to it. 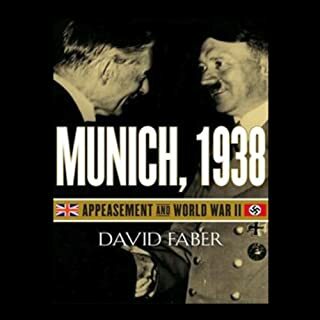 On September 30, 1938, British Prime Minister Neville Chamberlain flew back to London from his meeting at Munich with the German chancellor Adolf Hitler and was greeted with a hero's welcome. As he paused on the aircraft steps, he held aloft the piece of paper, bearing both his and the Fuhrer's signatures, that contained the promise that Britain and Germany would never go to war with each other again. What made the experience of listening to Munich, 1938 the most enjoyable? To someone who loves gaining an overall prospective and fan of Radio news from that period this was a joy to listen to. Its a full picture of the practice of appeasement and the damage it did to all nations of Europe save Germany. 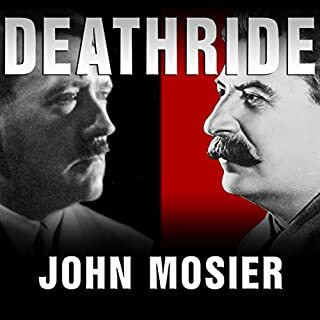 John Mosier presents a revisionist retelling of the war on the Eastern Front. The conventional wisdom is that Hitler was mad to think he could defeat the USSR, because of its vast size and population, and that the Battle of Stalingrad marked the turning point of the war. Neither statement is accurate, says Mosier; Hitler came very close to winning outright. If you could sum up Deathride in three words, what would they be? Soviet centered book with glances on Hitler. What was one of the most memorable moments of Deathride? Interesting views on Stalin and the Soviet Union, Author concentrates on debunking Soviet and Stalinist clams of victory and glory during the Second World War. Also covers before and after the war. Overall I did enjoy it this book as it covers things that happened on the other side of the Eastern Front.